Those are two very common job interview questions, and they both make people nervous. I won't give you a word-for-word, scripted answer to those interview questions to repeat to an employer. First of all, I don't know enough about your skills to develop an, individualized answer, and second, your answer will sound most sincere when you come up with your own words. I will, however, give you some good guidelines regarding the kinds of things that are good to talk about when answering these questions. I'll tell you some things you should never say, and I'll give you a sample answer for each job interview question that will give you some inspiration when you're thinking about your own best answers to those questions. Also, it helps a lot to understand why the employer is asking a specific question, so I'll get into that a bit too. I haven't addressed this interview question anywhere else on the site, so I'll go into more detail with this question here. They want to hear more about your skills and experience as they relate to the job. They want to know if you have a good understanding of the requirements of the job and the needs of the company. People are often far too general when answering this question. They will use clichés such as, "I'm a team player." or "I'm a people person." Those answers are over-used and don't give employers any specific reasons why they should hire you. Make sure your answer is very specific and addresses specific needs or interests of the company. The best way to make sure you're able to be specific is to do a little bit of company research before you go to the interview. That way you'll know what skills and experiences will be important to that employer. Avoid simply listing adjectives. Saying, "I'm hard working, reliable and loyal" doesn't prove anything. You won't stand out from the competition with an answer like that. Back up your skills with proof. "I see that you're launching an important new program for new immigrants. At my last job, twenty percent of the clients I worked with were new immigrants. It's a client group that I truly enjoyed working with. I have a very good understanding of how to support newcomers through the challenges that they often face starting out in a new country, and I have an excellent knowledge of the community resources that are available for new immigrants in this city." This answer shows the employer that you know a bit about his or her organization, and it also demonstrates that you have very specific skills, knowledge and experience that will benefit the organization and clients. 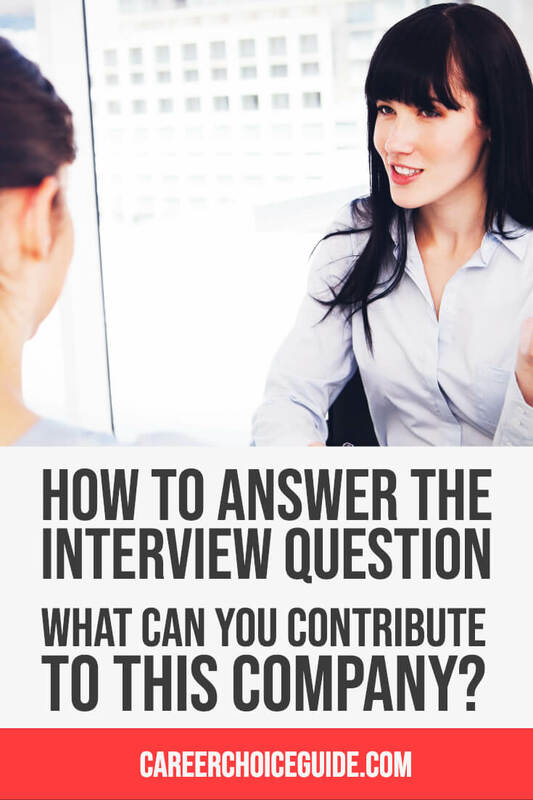 Again, it will be important for you to come up with your own, sincere answer to this job interview question based on the needs of the company and your own skills and experience. Be specific and give proof that demonstrates the assets that you'll bring to the company. If you have more questions about how to ace an interview, you can learn more about preparing for a job interview here.